I was in the garden over the weekend, finishing the planting of my 'Secret Garden' with roses and other spring blooming plants. I will be revealing the progress later this week. Until then I would like you to enjoy more of my Valentine flowers Sweetheart gave me. Three Red Roses with Baby's Breath. 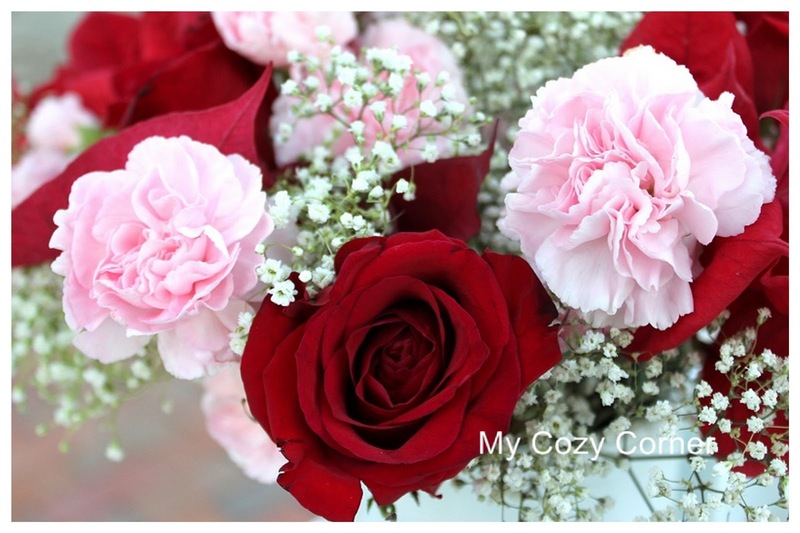 I added the pink carnations from My Romantic Dinner post...Go Here. And then I had two poinsettia plants still blooming from Christmas and added them to this bouquet. 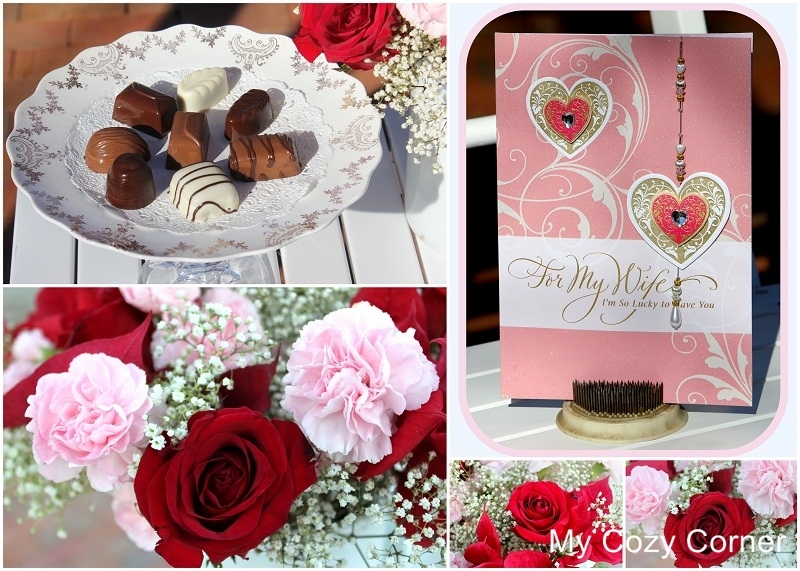 While outside photographing the Secret Garden I added some Valentine Candy to the post. I thought. What kind of Thank You card would I like to receive? I knew it would be a photo of CANDY~CHOCOLATE CANDY. The vintage dish is a thrift store find and Sweetheart glued the base on with some powerful stuff. I know this dish will be featured in many posts to come. Can you see the poinsettia leaves? I loved this card and had to share it with you. After over 50 years of marriage I receive a beautiful complement with some jewelry. Oh my! Katherine's Corner for Thursday Favorite Things. Your flowers are stunning, Betty! The pink and red look great together. These are all so beautiful! It looks like you've had a good week! Sweet hugs! Beautiful all the way around! 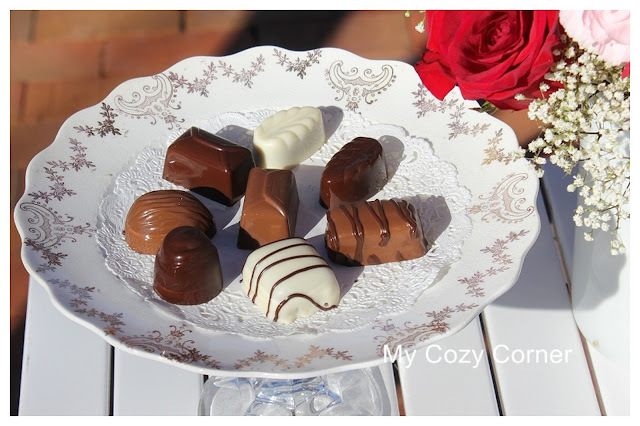 The dish is wonderful and perfectly displays those yummy-looking chocolates. Such beautiful flowers. How sweet is love after all those years! Congratulations. Great note card selection. My post is up but the linky isn't working just now. 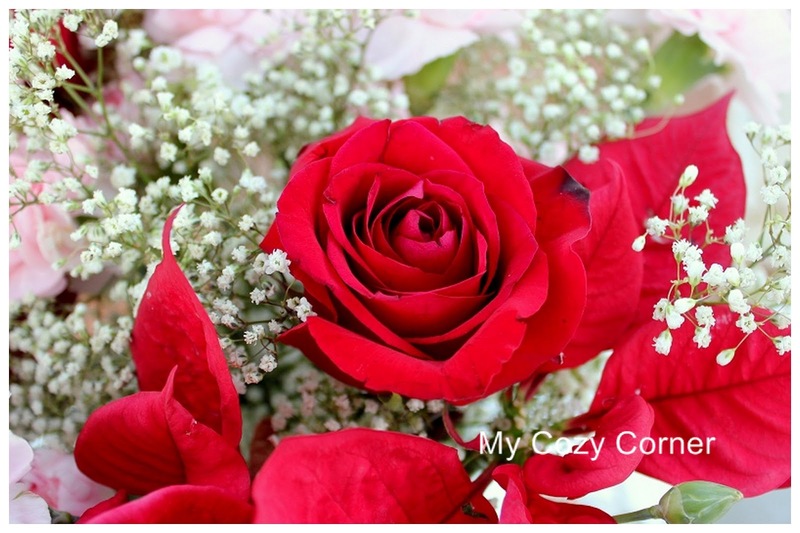 Betty, these photos are beautiful -- such gorgeous flowers! (and what a sweet card from your sweetheart!) Love all the RED. Thanks for sharing them. Beautiful flowers and photographed so nicely. They would make nice thank you notes. Flowers always make pretty note cards, don't they? Beautiful bouquet and clever to use a flower frog to display your VD card. These are stunning, flowers and chocolates...perfect. And it's a lovely complement indeed! I'm visiting from Vee's. Your photos are perfectly lovely! All good cards, especially the candy dish one! The flowers are very pretty though. Betty, your flowers are gorgeous and the candy --- making my mouth water! Wonderful thank yous! 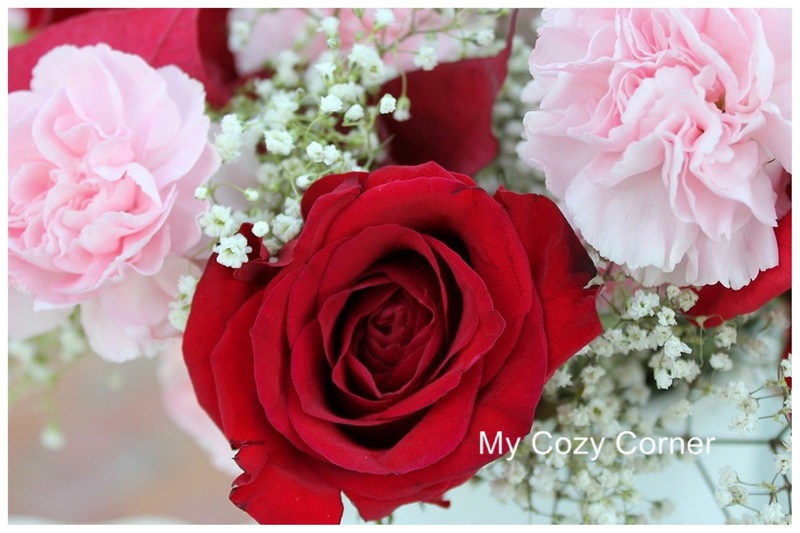 I love roses and your photos are all romantic! Hi... I cam in from the note card party. Lovely flowers, yummy sweets and a very precious gift. Lucky you!! Lovely, lovely. I love roses. Just discovered your blog thru Vee’s note card hop Betty, and I’m so glad I did. I also love top garden and so hope that you have spectacular roses in your garden this year. PINK POST! I'm doing my taxes!! !